DJ Jedi, Yours Truly, Also Me and DJ Dusk. Back in 2009, for the better part of a year, Miles Tackett - founder of the Breakestra and co-founder of the Rootdown - went on tour to promote the release of his band&apos;s latest LP, Dusk Til Dawn. In his absence, he entrusted me with the humbling task of taking over the reins of a little side project he had been involved in with Scion (the car company) called ROOTDOWN RADIO: a streaming online radio show that attempted to capture the vibe of LA&apos;s longest-running Thursday night hip hop/funky soul/Latin/roots dance party. Guests of the show included Mayer Hawthorne, Mona Lisa, Kon & Amir, fellow members of the Rootdown Soundsystem, and many more. 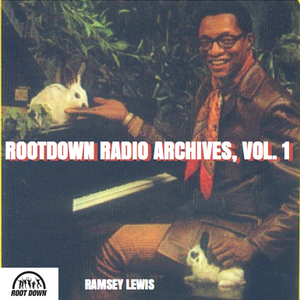 This mix includes some highlights from my first episode as DJ & host of Rootdown Radio. The last fifteen minutes of the show features a set by the immortal DJ Dusk (R.I.P. ), taken from one of the many Root Down live club sessions. More episodes to come in the near future.